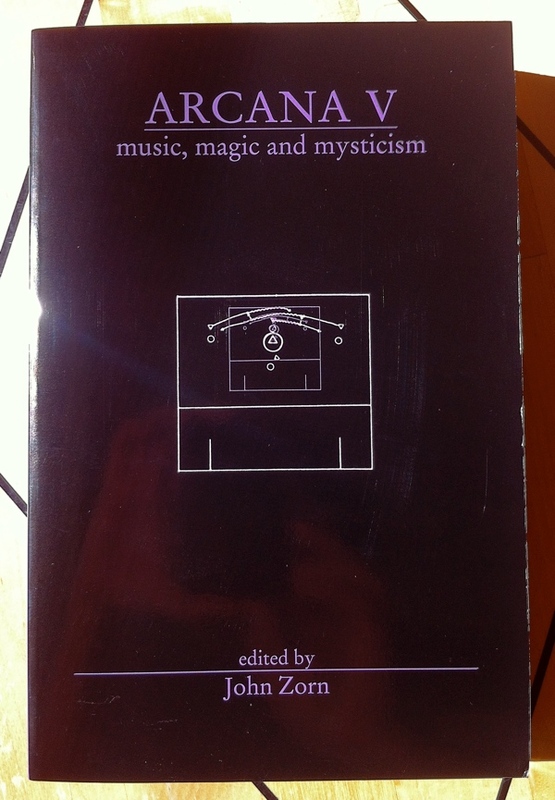 Arcana V: Musicians on Music, Magic & Mysticism, edited by John Zorn, from Hip Road / Tzadik, is part of the collection at the Reading Room. “Mysticism, magic and alchemy all come into play in the creative process. For centuries musicians have tapped into things spiritual, embracing ritual, spell, incantation and prayer deeply into their life and work. Although the connection of music to mysticism has been consistent, well documented and productive, it is still shrouded in mystery and largely misunderstood. For this special edition, Arcana focuses on the nexus of mysticism and spirituality in the magical act of making music. Far from an historical overview or cold musicologist’s study, these essays illuminate a fascinating and elusive subject via the the eloquent voices of today’s most distinguished modern practitioners and greatest occult thinkers, providing insights into the esoteric traditions and mysteries involved in the composition and performance of the most mystical of all arts. This entry was posted in Hermetic Library Reading Room and tagged Adam Rudolph, Alchemy, Alvin Curran, Arcana, books, Dary John Mizelle, David Chaim Smith, David Toop, Eyvind Kang, Frank Denyer, Frank London, Gavin Bryars, Genesis Breyer P-Orridge, Greg Wall, Hip Road, incantation, Jeremy Fogel, Jerry Hunt, Jessika Kenney, John Zork, Larkin Grimm, Mark Nauseef, meredith monk, Milford Graves, music, mysteries, mysticism, Pauline Oliveros, Peter Garland, peter lamborn wilson, prayer, Reading Room, ritual, Sharon Gannon, spell, Steve Coleman, Terry Riley, Tim Hodgkinson, Tisziji Muñoz, Trey Spruance, Tzadik, william breeze, william kiesel, Yusef Lateef, Z'ev on June 13, 2014 by John Griogair Bell. The Mysteries is playing at The Flea, in New York, in Tribeca at 41 White Street, through July 14th [HT Public Books]. 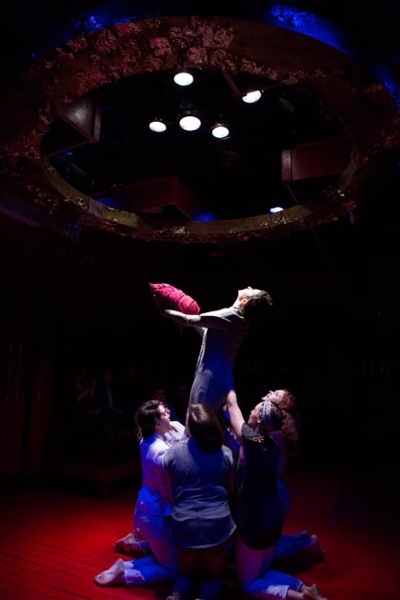 “The Flea embarks on an extravaganza with 48 playwrights and 54 actors retelling the entirety of The Bible in a single night. 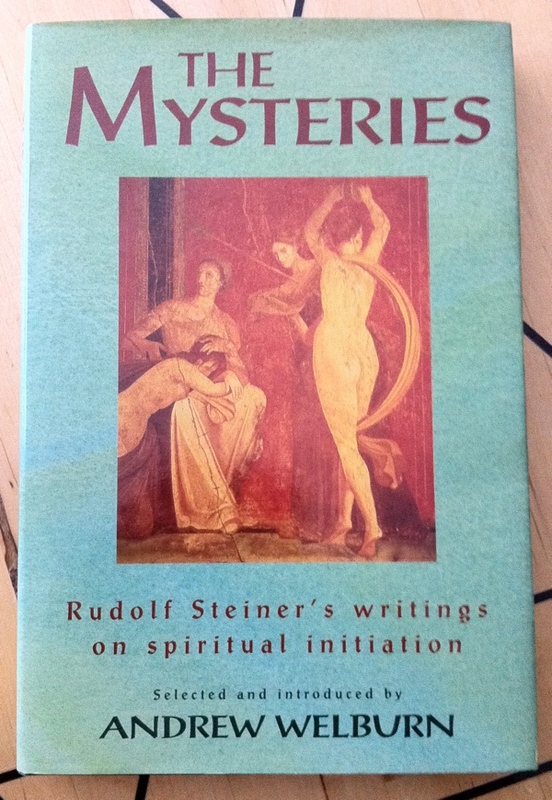 The Mysteries: Rudolf Steiner’s Writings on Spiritual Initiation, selected and introduced by Andrew Welburn, the 1997 hardcover from Floris Books, is part of the collection at the Reading Room. “Rudolf Steiner wrote and spoke extensively on the lasting value of the ancient Mysteries as an essential source for understanding the Christian experience. His view was that modern rationality did not banish the deeper patterns of spiritual initiation but was rather, in the very foundations of our thought, a transformation of early Mystery structures and processes. We should therefore look to the Mysteries for an illumination of our spiritual, intellectual and religious history as well as for insight into our evolutionary future. This entry was posted in Hermetic Library Reading Room and tagged 1997, ancient mysteries, ancient world, Andrew Welburn, apocalypse, books, christianity, Egypt, initiation, mysteries, mystery cult, mystery drama, mystery school, patterns, philosophy, Reading Room, rudolf steiner, transformation, understanding, world on February 26, 2014 by John Griogair Bell. 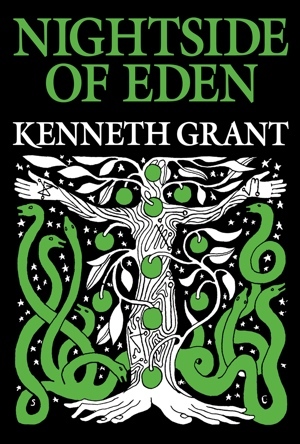 Nightside of Eden by Kenneth Grant is being republished by Starfire Publishing, and is scheduled for release in March, 2014. It is currently on pre-order in both a standard edition, available directly and, for US and CA, from J D Holmes, and in a deluxe edition available directly. “There exists a map of consciousness, with its light and dark byways, in the form of a qabalistic glyph known as the Tree of Life. It has its roots in the primal earth of Eden, but its branches extend into extra-terrestrial dimensions. This Tree, which is a familiar concept to mystics and magicians alike, has another side, a nightside which receives but passing mention in contemporary manuals of occultism; as if the ancient writings of the Arabs and Jews contained allusions to mere figures of speech and monstrous fancies. Nightside of Eden interprets the symbolism of the Tree of Death, the ‘other’ side of the Tree of Life which forms the basis of the Western Occult Tradition. Kenneth Grant, whose Typhonian Trilogies have infused new life and meaning into ancient and forgotten mysteries, here provides an exhaustive survey of the other side of the Tree, haunted by dark forces that are today seeping insidiously into human consciousness and threatening it with violent disruption. The creative magical current represented by Aleister Crowley, Charles Stansfeld Jones, Austin Osman Spare, and in our day by Michael Bertiaux, Margaret Cook, and others, is here traced to its source in the formless voids beyond the threshold of mentation. Nightside of Eden is an explication of the Cult of Choronzon and an initiated exposition of the Mysteries of the Left-Hand Path in relation to Western Occultism. Here, for the first time, the head of a genuine Magical Organization reveals the esoteric doctrines of the ‘black’ magic of the Left-Hand Path, as well as the practical application of psycho-sexual formulae of which very little is generally known. 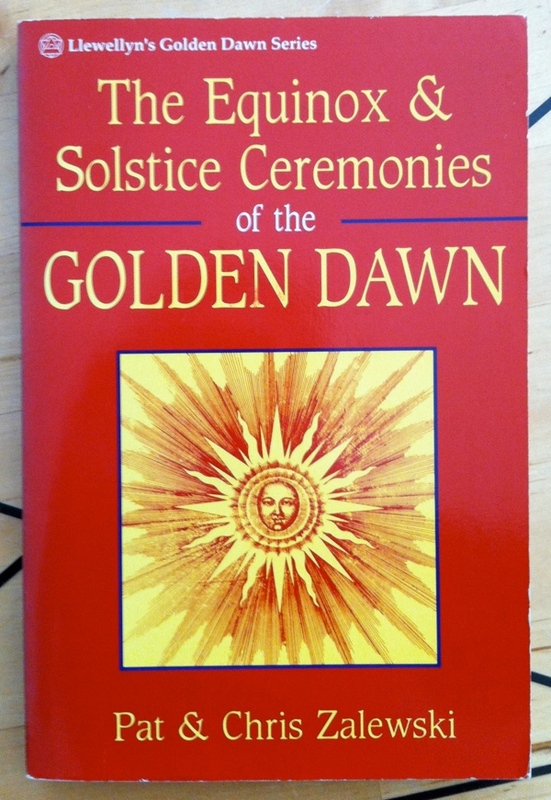 The Equinox & Solstice Ceremonies of the Golden Dawn by Pat Zalewski and Chris Zalewski, part of the Llewellyn Golden Dawn Series, the 1992 first edition softcover from Llewellyn Publications, is part of the collection at the Reading Room. But they are of more than historical interest. They are powerful instruments toward attaining higher consciousness if placed in the right hands. They demonstrate the threefold nature of the tradition. That is: hermetic/intellectual, as represented in the Masonic type ritual elements; mystical/aspirational, as represented by their Rosicrucian allegiance; and elemental/geomantic, through celebration of the equinoxes and solstices. And should we seek to re-work or re-phrase them, we need to maintain this threefold balance. For instance, to try to write out the Christian from the Mysteries of Christian Rosenkreutz would rather be like trying to make an omelette without the eggs! Or if we worked them in serious doubt about the existence of the ‘secret chiefs’ we would have no source of heat beneath our frying pan! Without these elements of faith the rituals would be worked without power. Would be no more than amateur dramatic performances of portentious sounding religiosity. A ritual only exists in its effective enactment, not on the page. Yet if power is contacted by these means (as it sometimes can be, even inadvertently), it is hardly the type than can be ‘used’ for personal ends or convenience. One might as well seek to tap the power of a tiger by pulling its tail. This entry was posted in Hermetic Library Reading Room, The Golden Dawn Library Project and tagged 1992, Arthur Edward Waite, aspiration, aspirational, books, celebration, Chris Zalewski, christian rosenkreutz, consciousness, elemental, elements, equinox, experience, geomantic, hermetic, hermetic order of the golden dawn, higher consciousness, historical interest, intellectual, llewellyn publications, masonic, mysteries, mystical, Pat Zalewski, personal transformation, physical world, Reading Room, ritual, rosicrucian, secret chiefs, solstice, tradition on October 8, 2013 by John Griogair Bell. 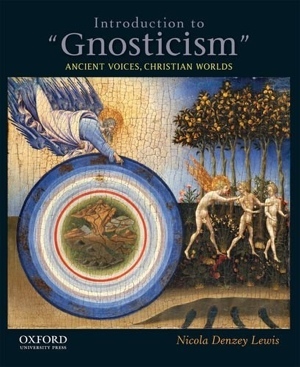 Introduction to “Gnosticism”: Ancient Voices, Christian Worlds by Nicola Denzey Lewis, from Oxford University Press, may be of interest. There’s an interesting review of the work over at Peje Iesous at “Nicola Denzey Lewis’ Textbook On the Gnostic Literature Is Really Useful (Or: Why I’m Glad My Class Failed Before It Got Off the Ground)” [HT Jared Calaway] which may also interest you, especially since it highlights this book’s apparently good exploration of the way the term “Gnosticism” can be problematic. The review seems to suggest this is a new work for 2013, but I notice that Amazon has 2012 as the publication date; but, it is at least recent for some reasonably flexible value of recent either way. “Discovered in Egypt in 1945, the fascinating and challenging Nag Hammadi writings forever changed our understanding of early Christianity. State-of-the-art and the only volume of its kind, Introduction to “Gnosticism”: Ancient Voices, Christian Worlds guides students through the most significant of the Nag Hammadi texts. Employing an exceptionally lucid and accessible writing style, Nicola Denzey Lewis groups the texts by theme and genre, places them in the broader context of the ancient world, and reveals their most inscrutable mysteries. 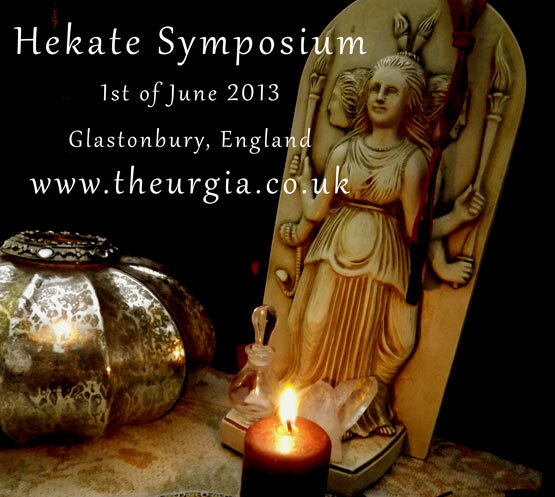 Hekate Symposium 2013 will be held in Glastonbury, UK on Sat, Jun 1st, 2013. “This is a unique one-day event which is entirely dedicated to the Goddess Hekate and her Mysteries, which will comprise scholarly presentations, ceremonies, meditations, pathworkings, chanting and ritual theatre throughout the day! Packed full of Hekatean delights from 10am – 10pm on Saturday, 1 June 2013. Facilitators and presenters this year include authors Sorita d’Este, Georgi Mishev, Emily Carding, Orryelle Defenestrate-Bascule, as well as Amelia Ounsted, Hazel, Sophia Kirke and numerous other Priestesses, Priests and Devotees giving their time, knowledge and talents to making this community event happen as an act of devotion. There has been a bunch of activity around the notion of a Queer Gnostic Mass lately. The notion seems to be that the Gnostic Mass is not currently LGBT friendly because of particular policies, but that it should be. There is a book, Priest/ess: In Advocacy of Queer Gnostic Mass by Michael Effertz, that has been privately published and distributed. There was a review of the book by Hermetic Library fellow T Polyphilus. And, there was at least one widely mentioned post attempting a rebuttal to T Polyphilus’ review. As an aside, I have to point out there’s always something. There seems to be some kind of law of conservation of energy at work around Ordo Templi Orientis. What I mean is that I’ve observed that there seems to be a constant background noise of complaint that remains constant no matter what actual rational issues may exist. There are for every issue that comes up, and every side of those issues, a mob of people who seem determined to get attention and validation from taking particular sides in any conflict they find, and seem to have little actual interest in the issues. Around any authentic issue there seems to be a busy buzz of annoying flies that actually ends up drowning out that issue with other agendas. So, as much as possible, I explicitly refuse to entertain or validate the meaningless constant background distraction from this issue with any more notice than this notice that I take no notice of the noise. (One diabolical beauty, of many, I’ve observed of the law of complaint conservation in action is that those buzzing will take refusal to entertain them as rejection of the core issue, because, of course, it’s all about them and their agenda, and not the actual issue; pro and con doesn’t matter for or to them either. The actual issue is just the delivery mechanism for the steamy, stinky payload of their pathological need for validation around which they can happily buzz angrily biting one and all.) And with that, hopefully, I’ve sent those people off on a spiraling tizzy so the rest of us can talk like adults. Instead, I hope to focus on considering, in solidarity, what I do hear as actual and authentic dissent on this particular issue from LGBT members of the Order and body of the EGC, and try to be an ally to them. The thing about dissent is that it is difficult to hear, but that difficulty is often in direct proportion to the need to hear it. The thing about oppression is that it so often falls to the oppressed to educate the oppressors. The place of an ally and friend is to help create understanding and raise attention for those directly affected. I think I hear something authentic from my LGBT brothers and sisters, and have heard it enough that I think there must be something important there, though it may be hard and may require some more effort to hear. That the LGBT brothers and sisters are speaking out suggests that those of us who are not should redouble our effort to listen to their story. What I hear is that LGBT brothers and sisters are feeling they are being treated unfairly and unequally within the Order generally because they specifically do not feel they have equal opportunity to take part in roles within the celebration of the Gnostic Mass that relate to their own lives. I hear that they want to take active part in the ritual, in a way that speaks to them, but feel that they cannot and moreover that they are not being heard. With that said, I’m really only an ally here, or at least attempting to be one. I am particularly unqualified to make any definitive statements one way or the other, and am not a direct voice on this specific issue. On the one hand, I do not identify as queer or gay, and so I am not a member of the group who might legitimately claim to be affected by the issue, except that, in solidarity and community, to harm one is to harm us all. I am also not clergy in Ecclesia Gnostica Catholica, though I have been active in other roles in celebration of the Gnostic Mass. Nor am I part of the government or any governing body (than my own self, of course) of Ordo Templi Orientis. I am also not privy to the Supreme Secret of the Sovereign Sanctuary (though, let’s be honest, like everyone on born on this planet, and their dog, I do have some suspicions about which I’ll hold my tongue). But, hey, I’ve got a blog, and some thoughts … and my aunt has a barn, so maybe I’ll put on a show! But, seriously, that’s all this post is: just some thoughts, that people can take or leave, consider or not. I’m just another student of the Mysteries recording my own current thoughts at this place and time. Basically, this is an ideal opportunity to make a misstep by which I can alienate absolutely everyone involved by sticking my foot in my mouth about the issue, or, you know, something even more entertainingly anatomically awkward. Well … yay, and tally ho, I say! Once more into the breach! YMMV. Do not taunt Happy Fun Ball. The issue is that, for public celebrations of the Gnostic Mass, the officers enacting the role of Priest and Priestess must be gender appropriate. The Priest must be of male gender and the Priestess must be of the female gender. For the purpose of this, a public celebration is any where non-initiates are present. For any celebration using the script of the Gnostic Mass which is gender-bent, or otherwise changed, it must not be public and moreover cannot be called a Gnostic Mass in public announcements. The current policy prohibits certain kinds of participation. A person whose gender is male, whether queer or not, cannot enact the role of Priestess in a public celebration of the Gnostic Mass and a person whose gender is female, whether queer or not, cannot enact the role of Priest. Someone who is sexually male or female, but is gender identified as something else, however, can enact the role appropriate to their gender. The policy is about gender appropriate officers in the role of Priest and Priestess. I think it is important to now introduce a distinction between what I’d call a “gender bent mass” and what I would understand to be an actual “Queer Gnostic Mass” but I think these two are getting as conflated as are gender and sexuality. To be clear, I will try to keep the term “gender bent mass” for a celebration of the rubric of the Gnostic Mass by officers in these roles which do not match their gender. I will also try to keep the term “Queer Gnostic Mass” for something which intends to be publicly celebrated with queer officers in roles and celebrates some, as yet unknown, mystery and symbolism of queer sexuality. Thus, I suspect that there is already a serious confusion in the complaint as I’ve heard it because it conflates gender and sexuality, and conflates “gender bent mass” and “Queer Gnostic Mass”. But, I think there is something being talked about that reveals important things about the nature of the Gnostic Mass relevant to the discussion. But, this specificity about gender for the roles of the Priest and Priestess means that for a public celebration of the Gnostic Mass, a queer male cannot act as Priestess and a queer Female cannot act as Priest. And, if one were not able to identify with one or the other in the gender binary, then one would not be able to be either. Anyhow, the point is that there is something there which is being demonstrated by the celebration of the ritual which is of central importance to the EGC and OTO, and the secret that is revealed by the initiatory system. So, from these two, if an event is called a Gnostic Mass, even if open to 0°+ only, it would still be public. So, simply calling it a “Mass” or “Gender Mass” or something similar even if publicly announced on a calendar or newsletter would be okay. Also, if not actually announced on an official OTO publication, calling a gender switched Gnostic Mass a “Gnostic Mass” appears to be fine as well. Also, that III A 2 k specifically details gender for public mass celebrations clearly does not prohibit gender bent private celebrations. My recollection is that there is also a comment somewhere, perhaps in a newer revision, which further clarifies the definition of “man” and “woman” to be something like “living as …” but that may have been something from my Bishop, since I don’t see it in the copy of the manual I have at hand. The manual specifically states (at III B 1) that modification to the rubric must be approved by the Patriarch, whether for private or public celebration. But, I think, on the topic of a gender bent mass, as a potential change, the permission is implicit without further being sought. My current reading is that for serious changes to the rubric of Liber XV, one is better off simply writing one’s own eucharistic ritual, and not using more than the structural outline of Liber XV or the text as inspiration and not source material. However, my reading is still that a gender bent private celebration does not reach the level of a “modification” of the rubric, and so, as long as the other issues around performance and how one publicly talks in official publications are followed, gender bent is not just well-contemplated by the manual but completely kosher under the circumstance mentioned. Also, I suppose, that the Bishop(s) supervising the various participants would have some say as well, in regard to the participation of each individual they supervise. So, that might be a thing. I find myself coming back to this note often in my thinking about the mass. For me this note makes it absolutely clear that the ritual is a symbolic representation of the work being done within the ceremonial magician, and seems to be a dramatic demonstration of an internal process. If all the roles are part of the Priest then the person enacting the ritual is doing so from the perspective of Priest, and that the role of Priest is in fact an internal aspect of the ritualist. Each role can be seen as an aspect of a single person. Thus the Priest represents male gender of the ritualist. The Priestess represents the female gender of the ritualist. During the rite, there is an interaction between these two internal genders that takes place. It seems self-evident that these two genders are particular and specific, exist within each person, and are necessary for the ritual to have effect; and that this necessity seems to me to be the reason for the policy around gender bent public presentations of the ceremony. In order to not confuse those attending a public celebration of the Gnostic Mass about the drama being presented, E.G.C. requires the role symbolically representing the male within the Priest is enacted by someone whose gender is male, and the role symbolic of the female within the Priest is enacted by someone whose gender is female. This necessity may also suggest some particularly specific nature to the “sublimity of the operation of universal forces without introducing disputable metaphysical theories.” It seems to me that one element of the symbolism reflects certain natural and scientific facts about the requirements for human reproduction, facts which are necessarily true no matter whether those humans are of any particular gender or sexual orientation. Without the operation of these two gender roles within the ritual and the ritualist, the ritual is not the same, and may, in fact, no longer represent the operation of the secret. The point here is that the Gnostic Mass is a particular ritual demonstrating particular things from a particular perspective. Other rituals are not only possible but, perhaps, even anticipated, that might offer a different perspective on that ‘cosmic and natural’ sexual polarity. I’m going to introduce a metaphor. It’s not perfect, but for my purpose it seems useful even so. If all the roles in the Gnostic Mass are “parts of the priest” then one might talk metaphorically about the roles as specific parts. One might talk about the Gnostic Mass as the Left Hand adoring the Right Hand. If one were left handed, one might want to use the Right Hand to adore the Left Hand, or the Right Hand to adore another Right Hand. But, the actual story of the Gnostic Mass is that the Left Hand is adoring the Right Hand. It is certainly possible to write and celebrate a ritual in which the Right Hand adores the Left, or the Right adores the Right, or even the Left adores the Left; but, that isn’t the same story. These changes change the narrative into something else, to varying degrees into a different story. Now, it may be that in casting the roles in the story of Left Hand adores Right Hand, that the person cast does not for some reason have use of their Left Hand. For example, in the case of Christy Brown, dramatized in the movie My Left Foot, whose only controllable limb was his left foot, it might not be possible. (Gadzooks, but I can already hear the peanut gallery shouting “Are you saying gay people are disabled? !”) In less extreme cases, one might find it interesting to use one’s Right Hand in place of the Left Hand as an experiment in casting against character, or any number of other reasons one might make various modifications to the presentation of the story Left Hand adores Right Hand. But, the important thing in telling the story Left Hand adores Right Hand is that the narrative not be modified so much that the message is lost. One might put on a performance where a Right Hand is used in the role of Left Hand, but the audience might get confused if the poster didn’t make clear that the performance was intended to be experimental, or they may assume that the story is actually Right Hand adores Right Hand instead, and misunderstand completely. Moreover, one could write rituals where the Left Foot adores the Right Hand, and so forth, where one specifically means that the Left Foot adores Right Hand, but how does one tell the difference between the ritual Left Foot adores Right Hand from the ritual of Left Hand adores Right Hand where Left Foot is used in the place of Left Hand for some practical reason? The audience is likely to be confused, especially if they are not savvy to the original story, and, really, since the original story is a secret, that’s most people; but also for the person who wanders off the street, and has heard nothing about the ritual at all, there must be a lot of potential of confusion and then consternation at the obfuscation of the intended narrative. It seems like there should be a story about the ‘cosmic and natural’ sexual polarity from other perspectives, and I’m not sure why no one is writing it. Maybe there is, as yet, no one within the Sovereign Sanctuary able or inspired to do so. But that is, again, different than a Queer Gnostic Mass. For a Female Gnostic Mass, one “in which the female takes the more active role, and the male the more passive […] in which the Deacon, speaking for the Priestess, can claim communion with the women in history that have perceived the divinity of man,” I have found myself idly wondering if such a thing might needs must be written by a queer female writing about the perceived divinity of man from a female perspective, just as Aleister Crowley wrote the ceremony about perceived divinity of woman from a male perspective. For a truly Queer Gnostic Mass, maybe such as thing could be written by a straight member of the Sovereign Sanctuary … or maybe I’m taking my perception of the creative formula a bit too far and strictly, but it amuses me to consider it natheless. I’m not sure what the magical and natural formulae are that would be represented in Queer rituals because there is a specific formula involved in the existing Gnostic Mass, which, while veiled, seems pretty clearly demonstrated. After all, perhaps quite specifically, “I confess one Baptism of Wisdom whereby we accomplish the Miracle of incarnation” in the Creed. If not told well or if the ritual were modified that formula might be obscured beyond recognition. If the Gnostic Mass is a ritual that has a particular narrative built around a central secret, then changing the narrative might start with a different central secret. It seems the narrative should be informed by the source, not the other way around. So, the first thing that might happen is the central secret needs to be interrogated by someone (that knows it, who is a cunning linguist, and is also a prodigious prestidigitator) to figure out if another narrative can be told. And, if there are other related but different Queer formulae, whether different narratives can be told about those different central secrets well enough within the structure of the Order. Or, maybe some of this has been worked by those in a particular degree outside the general plan of the order, but I could only speculate on that. A matrix of ritual might be possible which would offer an array of rites to satisfy anyone’s curiousity or general proclivities. But, even a drama queen like Aleister Crowley only wrote the one ritual from the male perspective on the perception of female divinity, and kept it as the single core ritual of OTO. So, it may simply be that there is only that one narrative possible within the structure of OTO and from the secret at the core of the Sovereign Sanctuary; because to change these too much would change the story into something else, or would be to make up a story that is completely fictional and not based on a real secret held by the Order. Honestly, after so much time no one’s come up with anything, I’m not holding out a lot of hope. If Aleister Crowley didn’t, and no one that’s raised the issue has since, come up with something … but, like so many things, raising an issue and hoping that someone else will solve it is the exact opposite of the fact that raising an issue is really an opportunity to self-volunteer to write original eucharistic Queer ritual rubrics and organize public celebrations of them, and eventually why not a Queer ritual-a-thon? Even if an official Queer Gnostic Mass isn’t available, there’s plenty that could be done. It may not be possible until there is enough LGBT presence in the Sovereign Sanctuary, assuming that there isn’t already, for there to be someone able to make an actual Queer Gnostic Mass, as opposed to just a Gnostic Mass told differently, possible, so perhaps that just means that those who identify as LGBT should redouble effort to advance in the Order so they can seduce the project to fruition by building a firm foundation first. In other words, there may be ways to celebrate the ritual of Left Hand adores Right Hand using one’s right hand in the role of the left, for practical reasons, though it may appear awkward; but maybe it just ruins the narrative to use one’s left foot and that’s not even to mention using one’s right foot in the role. Further, when the My Left Hand poster advertising the event says the ritual is one thing, to tell an entirely different story of My Right Foot seems definitely not correct, and would be right out of order. This entry was posted in Ecclesia Gnostica Catholica, Ordo Templi Orientis, The Hermetic Library, The Libri of Aleister Crowley, The Opinion Pages and tagged advocacy, aleister crowley, Bishop, celebration, Christy Brown, conflict, core issue, diabolical beauty, distinction, diversity, divinity, ecclesia gnostica catholica, gnostic mass, Helena, hermetic library, in other words, IX°, Law, law of conservation of energy, LGBT, magician, Mass, metaphor, Moscow, mysteries, narrative, ordo templi orientis, perception, phenomena, philosophy, Priest, priestess, richard kaczynski, ritual, Russia, saints, secrets, Sovereign Sanctuary, Tau Apiryon, thelema, tradition on February 24, 2013 by John Griogair Bell. This entry was posted in The Hermetic Library, The Opinion Pages and tagged aleister crowley, Arnold van Gennep, belief, boogeymen, calendars, certainty, cipher, Cognition, copiale, critique, equinox, esoteric systems, factions, fear mongering, feri, flights of fancy, fobs, freemasonry, Greco-Roman mysteries, habit, hermetic order of the golden dawn, imaginings, in other words, initiation ritual, John Griogair Bell, Karl Kereny, mechanisms, metaphor, mind, mysteries, mystery school, mystery tradition, ordo templi orientis, outsiders, paganism, public religion, reality, ritual, rituals, secret societies, secrets, self deception, skull and bones society, T Thorn Coyle, The Equinox, VIctor Turner on February 16, 2013 by John Griogair Bell. You may be interested in Introduction to Tarot by Lon Milo DuQuette, offered through Thelesis Aura on three Fridays in February.